This Mad Millie Probiotic Greek Yoghurt Kit is perfect for beginners and advanced users. All ingredients and equipment required to make 8kg of yoghurt are included. 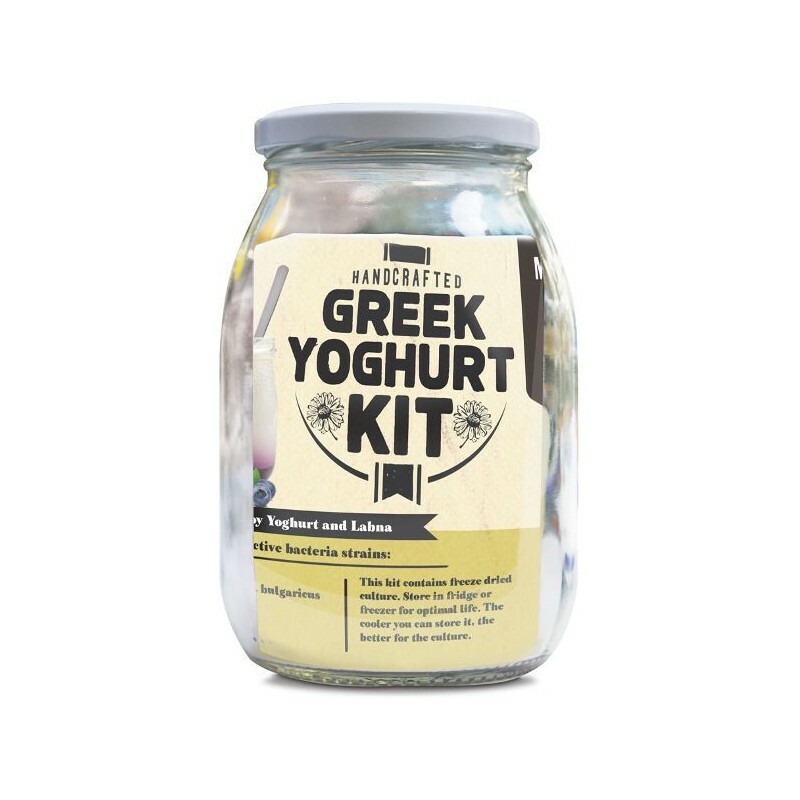 Kit contains 1L glass jar, 1 x cheese cloth, 5 x sachets of Probiotic Yoghurt Culture, Sterile Culture Storage Pottle, Stainless Steel Thermometer, Kit Instructions and Recipe Booklet. 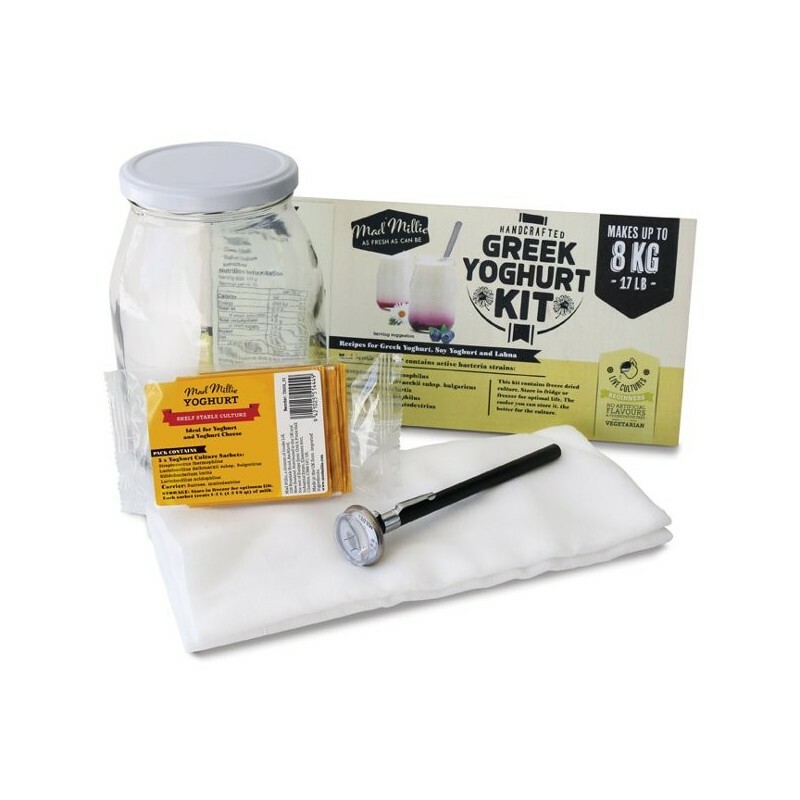 Kit includes: 1 x 1L glass jar, 1 x Cheese Cloth, 5 x sachets of Probiotic Yoghurt Culture, Sterile Culture Storage Pottle, Stainless Steel Thermometer, Kit Instructions and Recipe Booklet. Live cultures. No added sugar. Each gram of Mad Millie Greek Yoghurt contains over one million probiotic bacteria cells, scientifically shown to improve digestive health, immunity, and nutrient absorption. 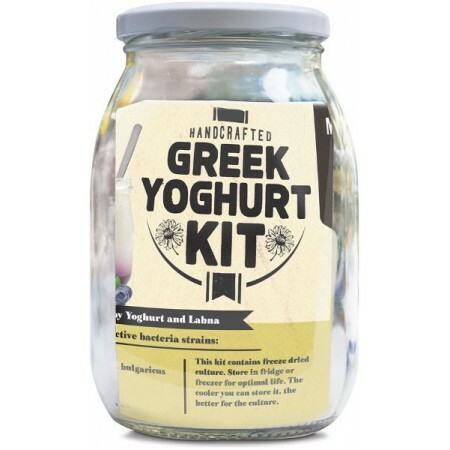 The culture provided in this kit allows you to make 5 -10 litres of yoghurt. Packed in New Zealand from imported and local components. Browse all our Mad Millie products. I've considered making yoghurt off and on over the past few years but always declined to do so once I get to the part where you have to keep it at a constant temperature for 12 hours. I was so excited when I read this description because everything I needed was contained in the kit. Well almost everything, everything except the one piece of equipment that you require to keep the yoghurt at a constant temperature for 12 hours. So the 1 star isn't for the product the 1 star is for the misleading description. The product is currently in a slow cooker wrapped in 2 towels which I hope will keep it at the right temperature overnight. If and when it sets I'll write a review on the finished result.